David Bernstein, 27, of Fairfield, was arrested after he was allegedly seen fighing in the street. 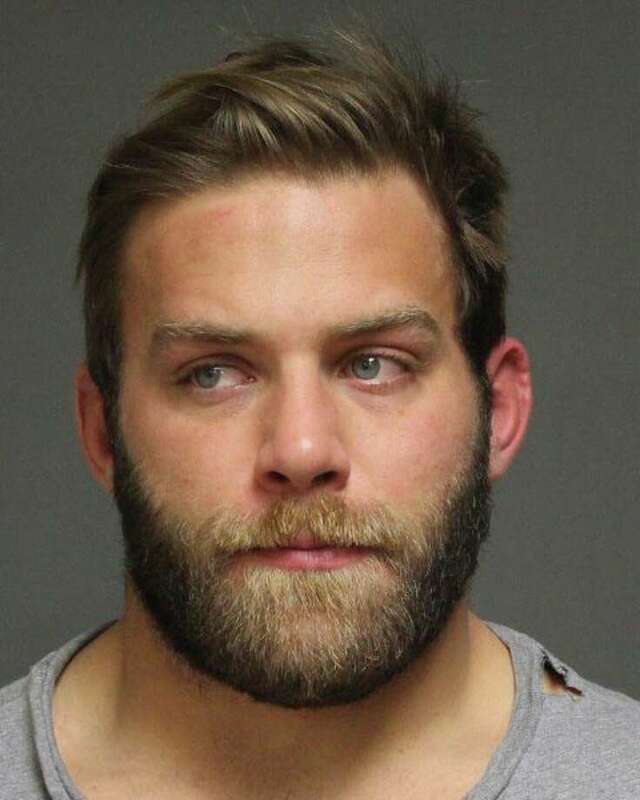 The Fairfield man who coaches the wrestling team at Staples High School in Westport and another man face charges after police said they fought outside a downtown bar early Saturday. The coach, David Bernstein, 27, of Henderson Road, and Thomas Bajda, 21, of Prospect Drive, Stratford, were both charged with breach of peace in connection with the incident. The two men were spotted by an off-duty officer on the ground, fighting, in front of Anna Liffey's, 1494 Post Road, just after midnight Saturday. Bernstein was released after posting a $500 bond related to an outstanding warrant issued by Bridgeport police on motor vehicle charges. Bajda was released on a promise to appear in court and was taken to Bridgeport Hospital for injuries to his face. The two young men had been arguing inside the bar and were asked to leave, according to the report, and once they got outside, the fight turned physical. The police report did not indicate the cause of the fight. Neither Staples Principal John Dodig nor Athletic Director Marty Lisevick immediately returned phone calls seeking comment on Bernstein's coaching status. Bernstein recently began his third season as the Westport school's wrestling coach. A 2005 graduate of Fairfield Prep, he wrestled at Bucknell University and was hired at Staples in 2012. The Staples program has been hurt by a lack of depth, and the team in Bernstein's first two years had a won-loss record of 7-40. Both of the men charged in the incident are scheduled to appear Jan. 13 at Superior Court in Bridgeport.